Ain't it a stunner? 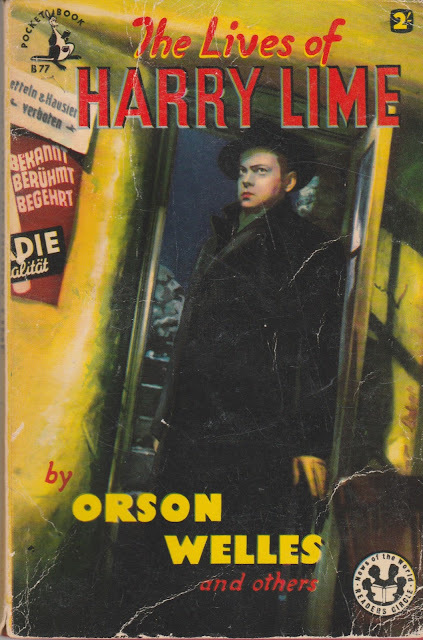 The Lives Of Harry Lime, complete with non-fiction stories by none other than Harry Lime himself, Orson Welles. I tell a slight fib though, this book wasn't an Op Shop find, this one was a few bucks at a book fair here in Adelaide last week. It was worth heading out in the cold and rain, just for this one. And there were other books to be found, including an extensive study of the Bounty mutiny dated 1884. Can't complain. Holly Martins: Have you ever seen any of your victims?